With this pattern, I wanted to experiment with Sweet Roll since I am a huge fan of Caron Cakes. I can say that the yarn is soft, not as soft as Cakes but perfect for those with a wool allergy. While this pattern is almost similar to some of my other patterns, I wanted something different in an oversized beanie. 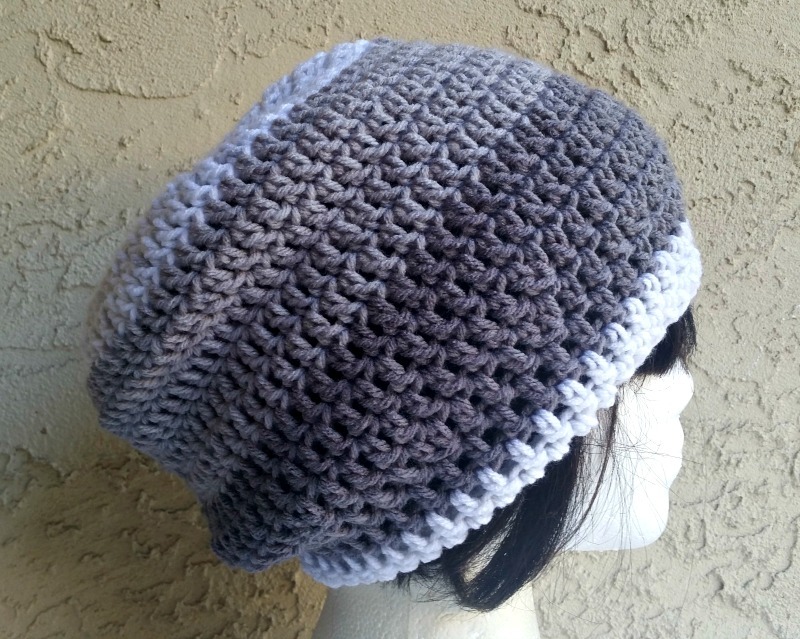 This pattern gives me that, making this hat modern and stylish but still has that basic look. I also added elastic because while I love the oversized look, I still wanted the hat to have that snug feel without stretching after a few times wearing. I used a thin elastic and crocheted it in without having to add in after. This hat pattern is using basic stitches so depending on your level it should take anywhere from 1.5 hours to 3 hours. Don't forget to add this to your queue on Ravelry! Round 16 - 18 Ch 2, dc in each stitch around. (48 dc) At round 18 (last round) add elastic while crocheting around. Sl st in ch 2. Fasten off and weave in ends. You may not copy, redistribute, sell, or represent this pattern or these photos as your own. Feel free to sell finished items made from this pattern. Please make sure you credit me, Olive + Brook, as the original designer.